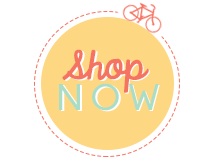 I spent all day Saturday stamping with my upline and good friend Christine Bellow aka The Stampin Ninja. We worked on our convention cards and when I got home I saw this card online and I just had to make it. Mosaic print is everywhere right now in home décor, clothing, etc. I stamped the mosaics in the colors of Island Indigo, Strawberry Slush, Pumpkin Pie, Daffodil Delight and Pool Party. I embossed my piece of Daffodil Delight with the matching Modern Mosaic folder, and then layered it onto a piece of Island Indigo. 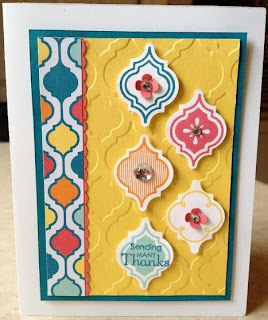 A small strip of the Quatrefancy DSP was layered onto a piece of Strawberry Slush cardstock that I punched with the Dotted Scallop Ribbon Border Punch, and then added to my embossed layer. I added all of this to a Whisper White card base using Dimensionals. I love the thick border of white to offset all of the bright colors in the middle. Then I positioned the punched out mosaics how I wanted and popped them up with Dimensionals. 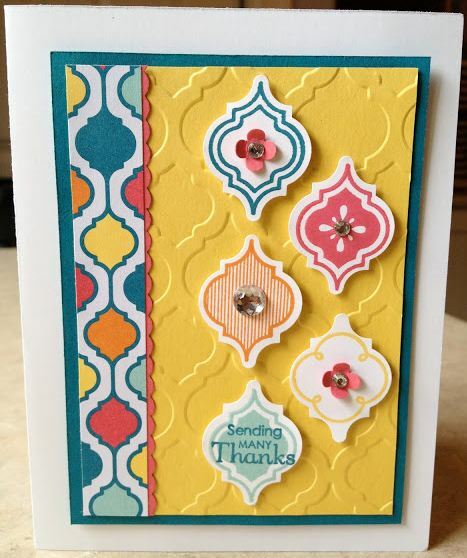 Some Rhinestones (Basic and Large) and Itty Bitty Punch flowers really made this card all come together. Hope you are all having a good Monday back from the long weekend. Happy stamping!